For some, the thought of “mental illness” conjures up images of severely dysfunctional people; people that are socially isolated, unpredictable, and even dangerous. Unfortunately, such beliefs have led to widespread stigma against those who suffer with mental illness. Many people seem to have a black and white perception of the disease: either you have it, or you don’t. The truth is that mental illness is not black and white. A mental health diagnosis can be extremely subjective. It is perfectly normal for all of us to experience, to some degree, symptoms of mental health conditions which may impede our functioning from time to time. Can you remember the last time you felt overwhelmed? Angry? Anxious? Does that make you “crazy” – or just human? So how can we change our thinking about mental health for the better? In general, the key in addressing mental illness stigma is education – learning the truth about mental illness and the effective ways which can be used to treat it. There are many misconceptions about mental illness which help perpetuate negative stigma. Misconception: Mental illness is uncommon. Fact: Mental illness is more prevalent than many people think. 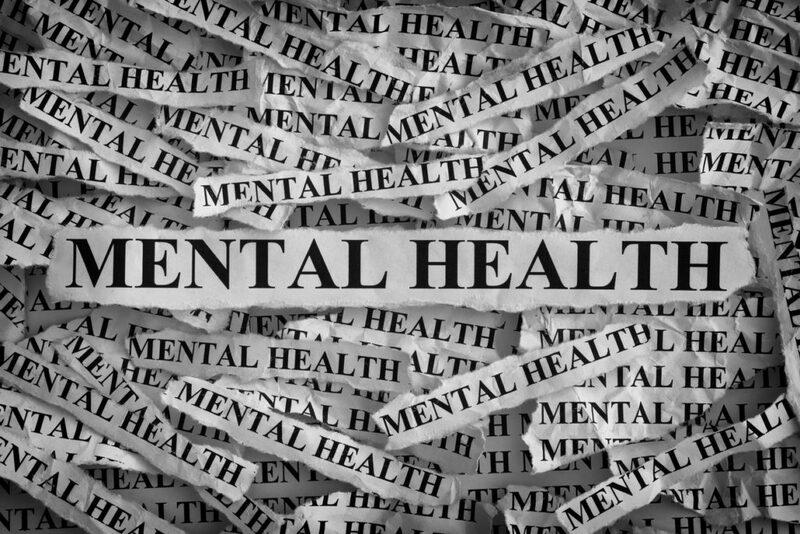 According to the National Institute of Mental Health (updated November 2017), 1 out of every 6 adults in the U.S. lives with mental illness. This means that even if you don’t struggle with a mental illness, there’s probably someone close to you who does. Well-known people – from actors, to sports stars, to politicians – have struggled with mental health conditions. Carrie Fisher spoke out about being Bipolar. Robin Williams suffered from Anxiety and Depression for years. Buzz Aldrin has shared his battle with Depression. Michael Phelps and his mother speak openly about overcoming his ADHD. All are known for their great accomplishments despite their struggles. By sharing those struggles, they help others understand they’re not alone. Misconception: Individuals with mental illness cannot function in ordinary school or work settings. Fact: People with mental health conditions can be active members of society. Many people with mental illness go to school, have jobs, and are engaged in their communities. Stressful situations can be difficult for anyone, but with the proper support and treatment, individuals struggling with mental health conditions can learn to manage their symptoms and live fulfilling and productive lives. Misconception: Mental illness is not treatable and lends itself to life-long dysfunction. Fact: Mental illness is treatable. Seeking the proper support and treatment is important to ensure the most effective outcomes with mental illness. Many treatment options exist, including individual and/or group therapy, medication, peer support, in-home rehabilitative care, and career and vocational support. Effective treatment of mental illness empowers individuals to discover and tap into their innate power of recovery and resilience. And, understanding that there are effective treatment options counters the notion that mental illness is permanent and defining. Addressing the stigma against mental illness is important. It allows people to seek treatment without being embarrassed or ashamed. For those who struggle with mental illness, it is encouraging to know that there are ways of effectively managing symptoms of even severe or chronic mental illness. As a community, we can help by keeping open minds, being more accepting, and expressing admiration for those who seek the help and support they need. Ezra Fromowitz, LGSW, is the Psychiatric Rehabilitation Program Coordinator for JCS.